Join us in this beautiful heart-space to experience the loving, high-vibrational energies of Aikon up close and personal. 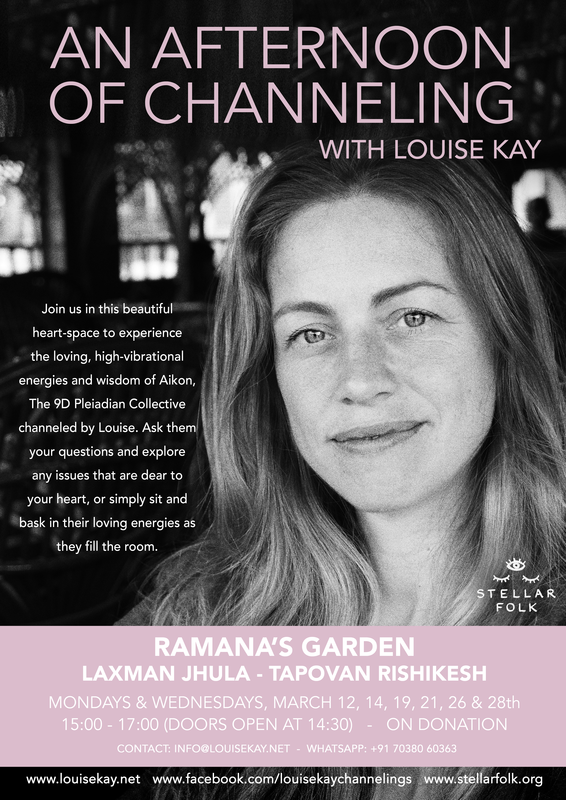 This event is an opportunity to experience the life-changing wisdom and high vibrational energies of Aikon, The 9D Pleiadian Collective channeled by Louise. You will have the opportunity to interact directly with the Pleiadians, ask them your questions and explore any issues that are dear to your heart. Many report this to be an extremely powerful, uplifting experience and people are frequently brought to tears as they connect with Aikon's loving energy, which often results in deep inner healing. There are no limits so you can ask questions related to your personal life, questions connected to issues in society or questions related to the collective, or simply bask in their energies as they fill the room. Whatever your heart desires!